Chicagoans will have a couple of opportunities to see Beth Stelling perform stand-up during this week’s TBS Just for Laughs comedy festival. She’s performing at the opening night Secret Big-Time Local Comedy Showcase and at Wednesday and Thursday night New Faces of Chicago shows. Beth was named “Best Stand-Up Comedian” by the Chicago Reader in their Best of 2010 issue. Her reign of humor will last at least a few more weeks before the Best of 2011 issue comes out (and she moves to LA). • Learn more about Beth Stelling at www.sweetbeth.com. • TWIX Presents TBS Just for Laughs Chicago is June 14-19, 2011. • Beth hosts Entertaining Julia with the Puterbaugh Sisterz every Sunday night at 9pm at Town Hall Pub. 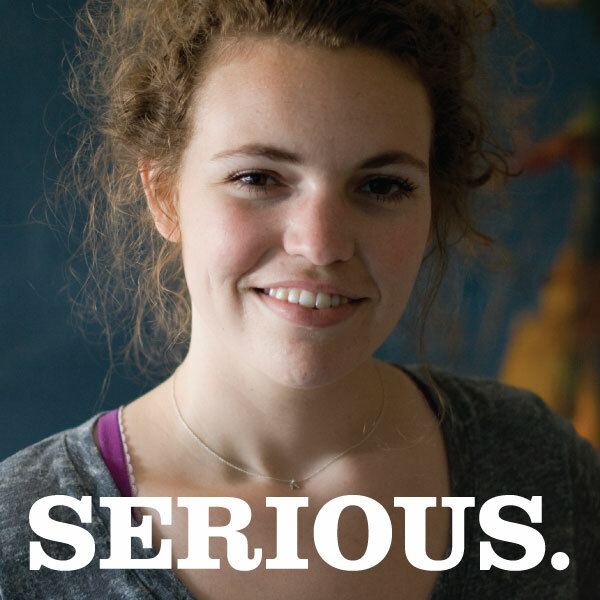 Posted in Comedy, PodcastsTagged Beat Kitchen, Beth Stelling, Chicago, comedy, interview, Just for Laughs, Let's Get Serious, Lincoln Hall, podcast, stand-up, Sweet Beth, TBS Just for Laughs, Town Hall PubBookmark the permalink.